← Going to ALA Annual? 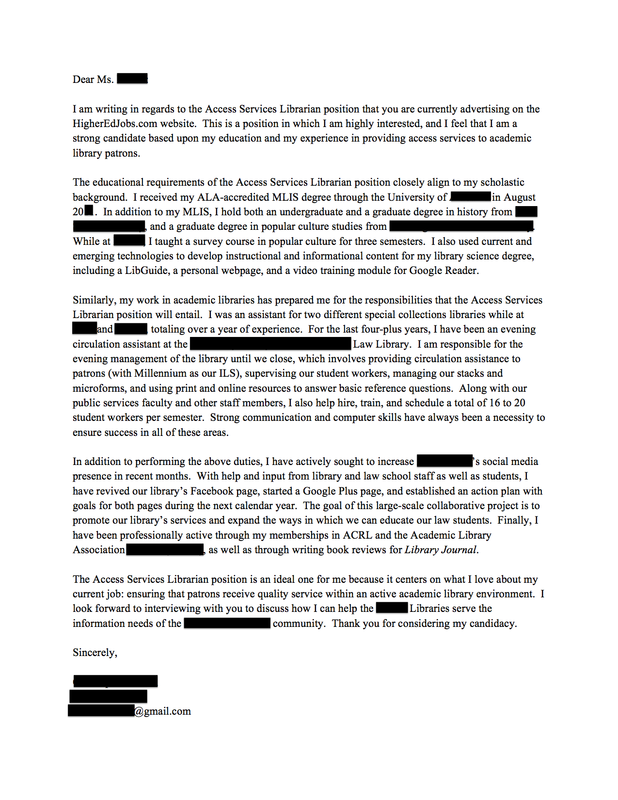 Attend my cover letter workshop! I have heard and read two different views on the contents of the opening paragraph. One is that you should have this sort of “sales” statement that expresses the gist of what you can offer and perhaps outlines what you are going to say. The other view is that the hiring manager, not least in academia, dislikes these sorts of statements. One person wrote, “I’ll be the judge of how well you’d fit.” Is having this sort of “I am confident I can contribute/I believe I would be a stron candidate for/etc. a good or a bad idea?